The importance of the labour relations in the shape of the societies has been studied in several cases. From the classical Marxism, which based in the social relations of production its understanding of the whole social formation, to the subaltern studies, the work spaces have played a clue role in the explanation of the social and cultural history. In regard of the Venezuelan case, the studies of the Subalternity offer interpretative tools to understand the build of the modern State and, even, its current crisis. Spite the called National Project which the Venezuelan elites shaped their Nation-State begun at the 19th Century, as soon as the oil economy barged in Venezuelan scene, the oil companies not only updated this project but also prompted new groups to the social leadership. They prepared their self-national project and planned to form a technical elite in order to take over the development of the country. In several aspects, these new Venezuelans formed by the values of the companies, shared similar characteristics to the subalterns of the colonial powers in India and other places, such as the mimicry of the American way of Life. Thus, the Human Resources offices of the oil companies had aims beyond these enterprises. When the modernization ideology became the alternative to the Communism during Cold War, these work increased its importance. During the second half of the 20th Century, the oil companies ‘project and the project of the other elites basically were coinciding. Besides, the Venezuelans employees of the oil companies were sincerely nationalists and in general contributed to the modernization of their country. But at least they couldn’t –unlike other subaltern elites- take the power and even were defeated, in many cases expelled by the Chavist Revolution, who have other idea of nation building. These elite and their project, both born in the context of the oil companies, are the focus of the present lecture. 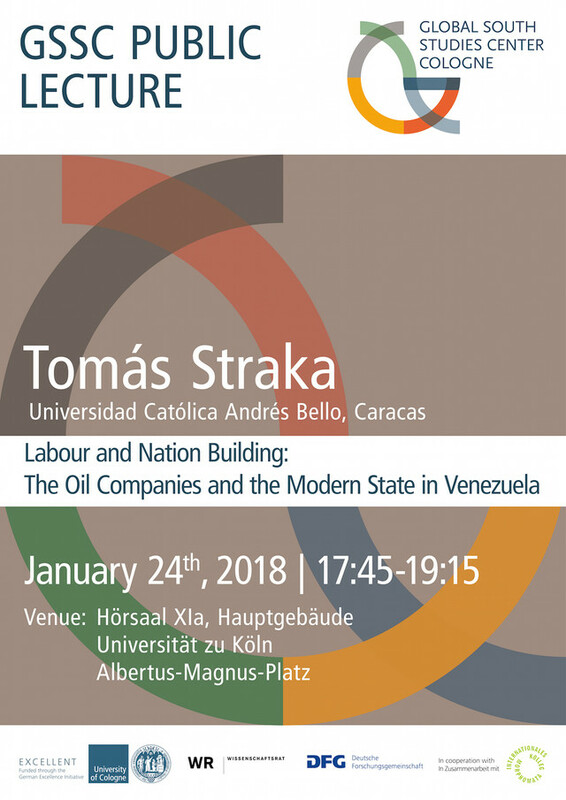 Tomás Straka (Caracas, 1972): Is a member of the National Academy of History of Venezuela and Professor at Universidad Católica Andrés Bello, where he directs the Master of History of the Americas (Caracas). Straka holds a PhD of History and a degree in Education. He was visiting scholar in the Universidad Nacional Autónoma de México and Pomona College (USA). Columnist in several publications about political analysis. His research focus are the history of ideas and historiography. Among his works: La voz de los vencidos, ideas del partido realista de Caracas, 1810-1820; La épica del desencanto. 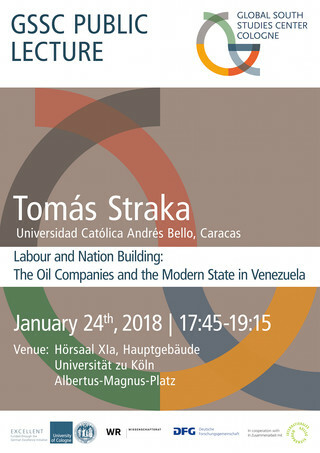 Bolivarianismo, historiografía y política en Venezuela; La república fragmentada, claves para entender a Venezuela; and he coordinated with Michael Zeuske and Agustín Sánchez Andrés, Las independencias de iberoamérica.